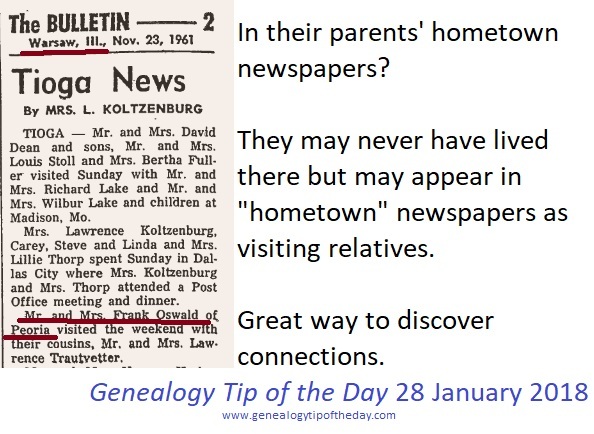 Do you regularly look for people in their parents’ hometown newspapers? They may never have lived in the area at all, but may appear in “hometown” newspapers as visiting relatives. Great way to discover connections.